Aries and Pisces are not the best of couple. Pisces is receptive and Aries is honest, and this may hurt each other. An Aries is able to make decisions more easily as compared to a Pisces. This relation can go a long way provided they are able to overcome their differences. Pisces has a gentle nature which can pacify an Aries when he is surrounded by disappointment. Pisces wish to be near with Aries but there can be collision as he believes in freedom. The susceptible Pisces is attracted to Aries’ promising and valor nature. The relation of an Aries man and a Pisces woman can be a good one. An Aries man find a Pisces woman appealing and she like to dependent on him. She has a harsh temperament which can create problem with him, particularly when they have disagreement on something. This match can definitely work provided they are able to adjust with each other. An Aries woman and Pisces man finds it difficult to adjust with each other. Both of them are dreamy. He is very responsive, but she has to check her assertiveness if she wants to be in this relation. He must learn to adjust with her desire of liberty. In case they are able to praise each other’s different virtues they can enjoy each other’s company. Taurus and Pisces people have thoughtful nature. This relation needs to have mutual agreement. The softness of Pisces makes Taurus fall in love. On the other hand, the stability of Taurus is a point of attraction for Pisces. A Taurus has a simple and practical nature. Likes and dislikes of Pisces are very unclear. His ideas are not clear, but Taurus has a clear view of everything. The imagination of Pisces can be less clear than the practicality of Taurus. The relation of a Taurus man and a Pisces woman can go a very long way as they are mutually passionate about life as a whole. Her instable and peculiar nature is balanced by his serenity and both are romantic. She is attracted to his bravery and profundity and he makes her feel. Pisces man anxiety is neutralized by the devotion and loyalty of Taurus woman. He has simple, calm attitude towards life. He takes her into a dream world and she motivates him to bring those imaginations into reality. His charm and academic depth draw her close and he spoils her. This match sails smoothly provided they are able to solve their disputes. Pisces and Gemini are fairly supple and malleable, and are willing to make amendments. They never hold on to their estimations. There is discrepancy in the characters of both the people. Pisces lives in a world where everyone is good and everything is ideal, on the other hand, Gemini has a coherent approach towards life. However, Gemini can be more responsive and gets benefit from his wisdom. There is difference in opinion among them. There is no compatibility in a Gemini man and Pisces woman relation. There are differences in their essential traits. He changes his mood rapidly and she is hurt when she did not find the qualities which made her fell in love with him the first time. A Piscean woman looks for a person who can take care of her, protect her and can love her; on the other hand, a Gemini man is reluctant for profound emotional bonds. He will be put off by her steady need for company and love. 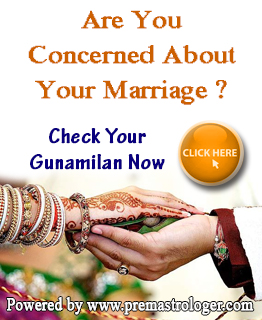 This relation can continue provided both the individual are ready for compromises. A Gemini woman is initially attracted to the fervent life and pensive glance of a Pisces man. He is not so expressive about his thoughts, while she is just the opposite. His responsive spirit is hurt by the frank and sharp dialect from her. He is in search of love and care from her. When the Cancer and Pisces are together, their relation is a good example for people around them. Both of them have emotional and kind nature, and are aware of each other’s habits. Both of them are quite responsive to each other, and are considerate to each other’s requirement. Whatever discrepancies they have are not strong enough to have catastrophic effect on this relation. The Cancerian is less orthodox as compared to Piscean. Both of them give importance to common sense, but they think with their heart, and at times they are dreamy too. For maintaining the balance of life one of them needs to be practical. A Pisces woman is weakened by the affection shown by a Cancer man. The relation between a Pisces woman and a Cancer man can be a wistful one, filled with lots of protections, obligation, consideration and strength. They have wonderful tuning between them and they love each other. A Piscean man is filled with excitement. On the other hand, a Cancer woman makes him feel special and gives all the attention he deserves. This relation keeps going with lots of faith, love, care and attachment. They are practical towards life as they are aware that they live in a real world. A Leo and a Pisces relation have lot of differences, which keeps them at odd ends with each other. A Leo does not look beyond himself and the world is forbidden for him. Therefore, he is able to get full attention of the Pisces and the celebrations with it. There is no struggle for authority and no conflicts in ego. A Leo loves the elasticity, serenity, compassion and sympathy of a Pisces, who admires the power and potency of Leo. They can teach each other to be strong. There is compatibility in a Leo man and a Pisces woman. A Leo man is disciplined by a Pisces woman. He is extremely sociable and it collides with her introvert nature. Her responsive nature may be hurt by him. He is turned off by her excessive susceptibility; on the other hand, she is upset by her angry nature. There has to be lots of love and fable if this relation needs to work. The understanding between a Leo woman and a Pisces man will determine how long this relation will sustain. He is self-centered, whereas, she love to go outside. Both of them are tremendously fervent and idealistic in nature, one of the optimistic features of this relation. There is sufficient amount of love in this relation. A Virgo and a Pisces’ compatibility can be good or bad. A Virgo has everything clear cut in life and everything is under her control and the way she wants it to be. A Pisces lives in a totally different world and lives with what he possesses. On the other hand, there is much wider welfare in life for a Piscean. A Pisces has a muddled existence and it conflicts with the thoroughness of a Virgo. This can reduce the compatibility between them. A Virgo finds it really difficult to express, but a Pisces is filled with fervor and relation. To make this relation a success, lots of balancing hard work and sympathy is required. The relation of a Virgo man and a Pisces woman is devoid of any happiness between them. She will be hurt and more vulnerable than ever before as he is not able to under her compassion. She is left imperfect by the fact that he is not too exciting. She may find it difficult to adjust according to his pragmatic rules. Provided she keeps her female tricks away, she will get admiration. A Pisces man is a thinker and a Virgo woman is attracted to this character. He is attracted to her sensible and grown-up ways. This relation will sail smoothly provided he learns to grab the opportunities as they come. They are inspired by each other through expressive content and spirituality. It is better for her to quit from the situation, in case he is of a pensive type and is lost in his own world. The probability of compatibility between a Libra and a Pisces is quite good. Both of them are quite responsive. A Libran may not like the inert attitude shown by Piscean at times. A Piscean is not cagey like the Libra, although, he may take time to come to an end. Both of them seek obsessive and adore in this relation. They are good match for each other provided they make efforts to conquer the differences. A Libra needs to learn to be neutral at the time of making decisions from Piscean. There is no security of compatibility between a Libra man and a Pisces woman, even though this relation can be immense. Anecdote virtually runs in their stratum and they are very obsessive. Beyond this point, there are many variations in characteristics. In order to appreciate each other they need to give up their personal nature. A Piscean man appreciates the notice given a Libran woman. He is lost in his own world and is pensive; on the other hand, she is not stable. There can be no assurance of constancy in this relation, even though, it can be a very idealistic one. The drawback is that she is a thinker and he is very moving. The perspective character of Scorpio and Pisces is same. The only drawback is that Pisces is able to express easily about his experiences, but the Scorpio is not able to do so. An outer frontage of exigency and force is always maintained by him. Both of them get intense feeling in each other. A Piscean has a lenient nature; she can learn to be more self-confident from Scorpio and how to understand own thoughts. Both of them complement each other in a wonderful manner. A Scorpio man and a Pisces woman have instant attraction towards each other. They are astonishingly considerate and harmonious. He is able to understand her even before she utter a single word, and same is the case other way round. This relation is filled with faith, obsession and adore. A Pisces man and a Scorpio woman have a common magnetism between them. They match each other completely and fulfill each other expressively. He provides her with safety, and she helps him in understanding his thoughts. She is attracted towards his thoughtful and pensive nature and he only wants true love from her. This relation is an ideal one. A Pisces and a Sagittarius has fairly vibrant thinking. Other people are not able to understand their thinking process. A Sagittarius and a Piscean are romantic at heart and are completely idealistic. This relation can be completely unsuited at times and can be well-matched other times, this way it is quite puzzling. Sagittarius may feel alone and worried as Piscean wants to have independence and liberty. The Piscean is vacillating and resolute. A Piscean woman and a Sagittarius man get along with each other comfortably for long. There can be catastrophic consequences because of some basic dissimilarity, other than that; there is perfect tuning between them. She is lost is her own wistful world, where there are very few others. On the contrary, he is quite a practical person. This match can be a good example for others provided they understand this factor. Lot of effort is required both from a Sagittarius woman and Pisces man to carry on this relation. He may not be willing to give her the freedom that she is searching for. She is always in search for more knowledge, which may not be appreciated by him. He is compassionate and she is too straightforward. A Capricorn and a Pisces can balance out the differences between them. In lot of respects, they are totally opposite to each other; still they are able to get along with each other. A Pisces is an idealist who thinks everyone is good and everything is well, a Capricorn on the other hand is a practical person. Pisces is more sympathetic and responsive than Capricorn. Muddle disturbs Capricorn profoundly and succeeds on organization, but Pisces are quite the opposite. They can learn many things from each other provided they appreciate the differences between them. The Pisces is more on kindness as compared to Capricorn. In this relation promise and safety is desired. There is long term compatibility in a relation between a Pisces woman and a Capricorn man. She has a flimsy, susceptible self which is supported by his strong personality. She enables him to come of his hiding and express, and he makes her feel tenable. She never makes an attempt to control him. A relation between a Capricorn woman and a Pisces man can turn into a permanent one. He has a fervor nature which enables her to let out her secrets. He makes her feel loved and cared for and is always thoughtful for her. He gets the loyalty from her that he is looking for and this makes him feel secured. There is considerable compatibility in this relation as it is filled with love and faith. A Pisces and an Aquarius have an unbiased nature towards life and they are less likely to be critical about anyone or anything. The compatibility between the two is quite strong as they have many complementary traits. An Aquarius has sensible view point towards life and Pisces is visionary most of the time. An Aquarian relies on sense and examination, but Piscean relies on instinct. The Piscean is less concerned as compared to Aquarius and is less affected by others pain. The fact is, it is not difficult for him to alienate himself from situation and people. There is high probability of this relation going for a long time as Pisces has love and familiarity in relationship. Both, a Pisces woman and an Aquarius man depict considerable behavior, but in different situations. She is emotional and he is a thinker. His untroubled and relaxed attitude towards life made her feel uncomfortable in the beginning. She will be left lofty and arid because of his inactive and incapable nature. She is quite needy and clingy. There is no assurance of long term compatibility between a Pisces man and an Aquarius woman. The reason is they are in search for completely different characters from their partner. She is looking for someone with whom she can have fun and can go on adventure, but he wants to have a close and personal relation. He wants to be with her all the time, but she does not want to be tied down. She may not be able to give the love he needs and he may not be able to give the liberty she desire. Pisceans are very considerate about their surrounding and have the tendency to mix in society. This relation has good probability of going a long way, as both of them are aware of each other’s habits. They are able to communicate with each other at a very deep level and are considerate about human emotions. It is difficult to describe in plain language the approval they will get in this relation. However, both of them are at the same level. 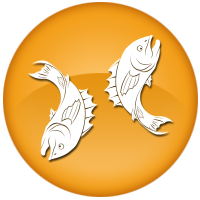 Piscean people can be of two types – positive and realistic or pensive and inert. The situation can be enjoyable or devastating if same types of Piscean meet. Since, both of them are very ardent and idealistic, there can be no trouble between them. Both of them have a penchant for better things in life, they are broadminded and are kind. They will be able to maintain synchronization in their relation and both of them love to be calm. They need to put in lot of efforts to allow cogent analysis and judgment take priority, as they like to live in reflective world of their own. A Piscean finds a comfortable zone in other Piscean and is very touching by nature. When they are sad, they want someone to care for them. No match can be improved if the two Piscean do the same with each other. This relation can only create problem and will go down to nil in case they have conflicting nature.